Buffalo Rock Company purchased the Pepsi-Cola Company of Newnan, Georgia on June 1, 1981, from the Griffith family who had previously owned the franchise since the late 1940’s. 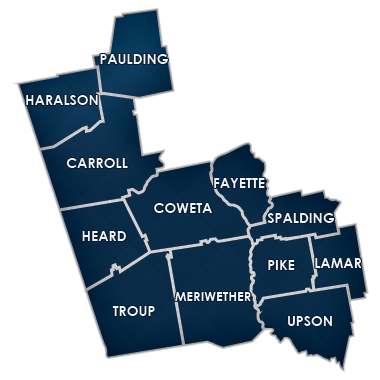 Newnan’s distribution area services a population exceeding 500,000 people and includes the counties of: Paulding, Haralson, Carroll, Heard, Coweta, Fayette, Spalding, Upson, Pike, Lamar, Troup and Meriwether. 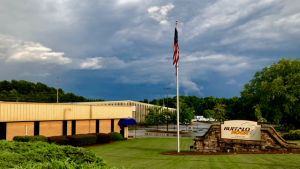 The Newnan Division takes pride in their beverage and snack distribution and is dedicated to the community, customers and its employee-partners. The Newnan team of 155 dedicated employee-partners is focused on a growing market place that is reflected by innovative merchandising and discipline throughout its franchise area.